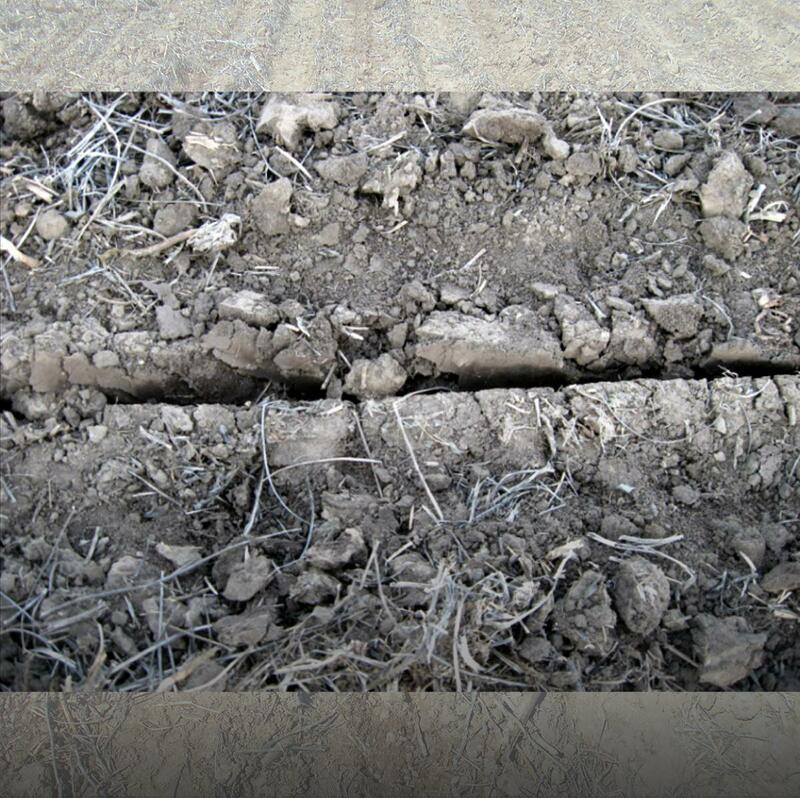 Each planting season, farmers face a critical challenge: how to successfully close the seed trench. 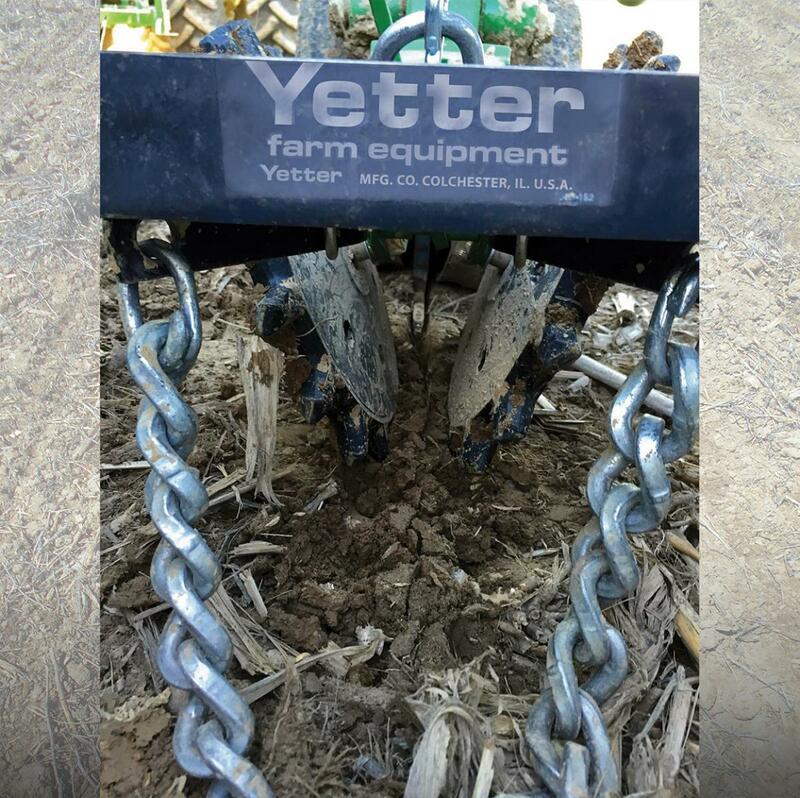 The Yetter 6200 Twister Closing Wheel has a twisted-spike design that breaks up sidewall compaction and is effective in a wide range of soil conditions. 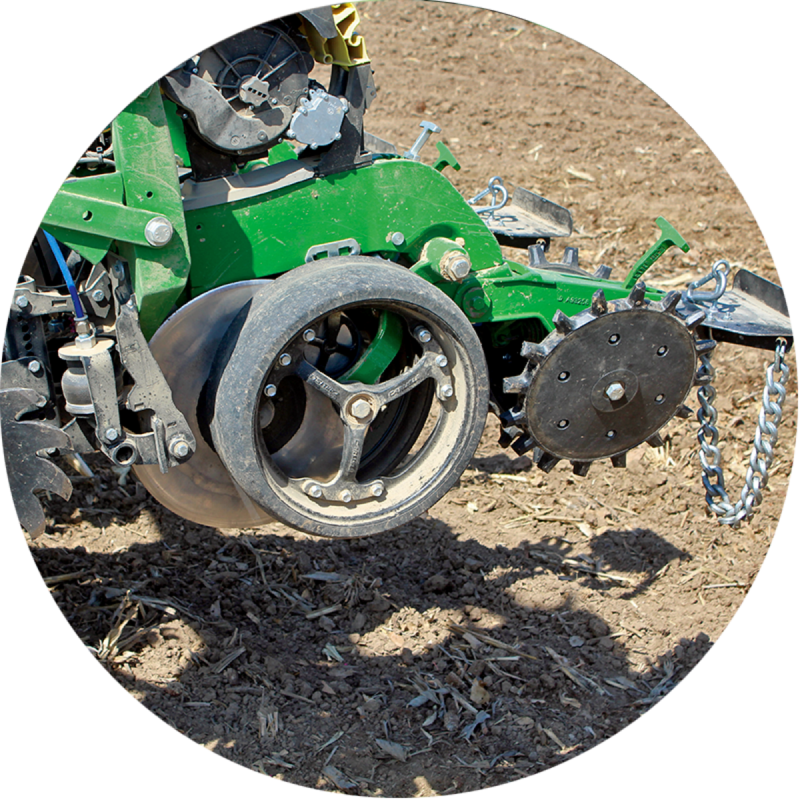 Whatever your tillage practice or soil type, the Twister Closing Wheel zips the seed trench closed, ensuring seed-to-soil contact for optimal seed germination. 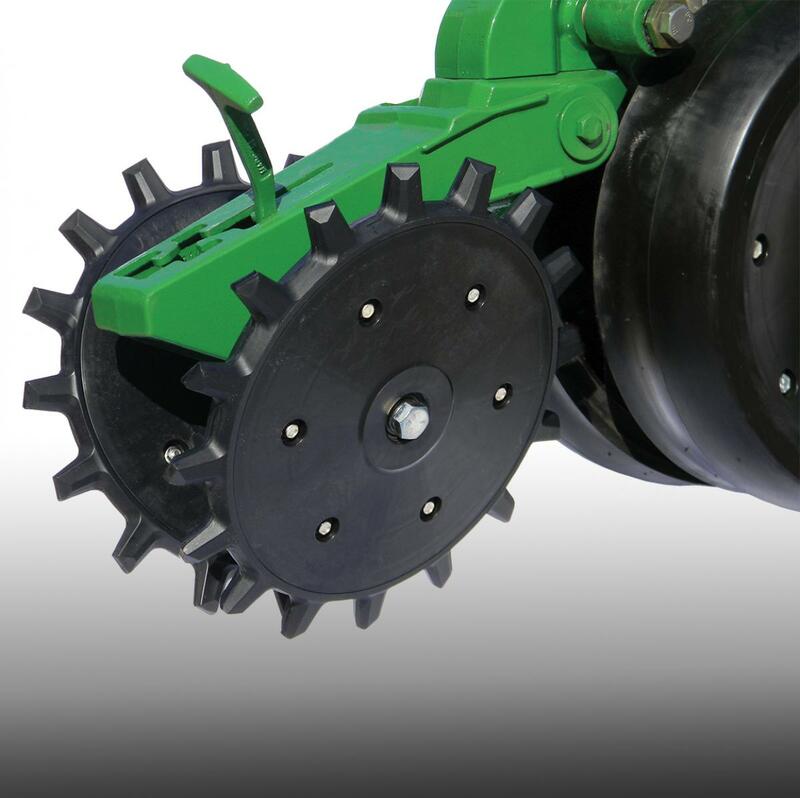 Since its introduction, the poly-spike Twister Closing Wheel has received positive feedback from customers and dealers. For the past two years at different locations in Beck’s Practical Farm Research studies, the Twister increased yields by an average of 6.4 bushels per acre*. 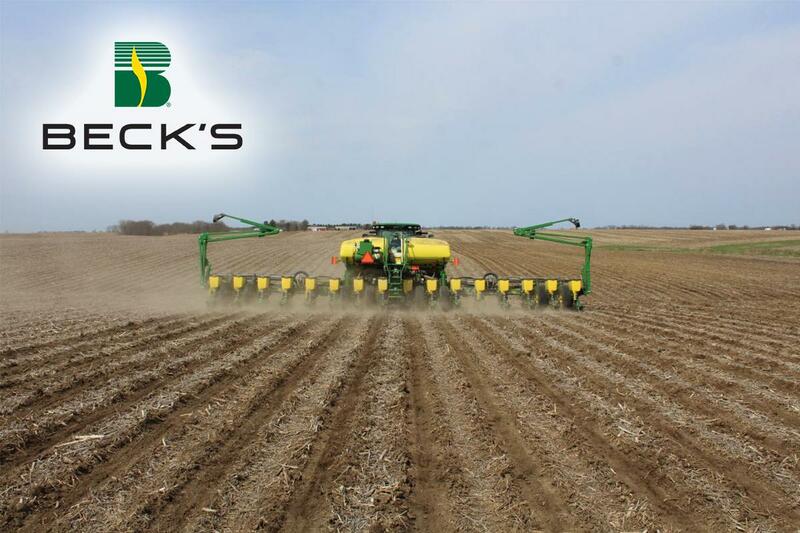 Beck’s PFR provides unbiased, farmer-focused research through studies conducted across the Midwest. The studies compared the Twister Closing Wheel with other closing wheels on the market. You prepare all year for the moment the seed goes in the ground. If you’re rolling the dice with factory rubber closing wheels, or leaving it up to the weather Mother Nature sends your way, you’re missing an opportunity to maximize yield. 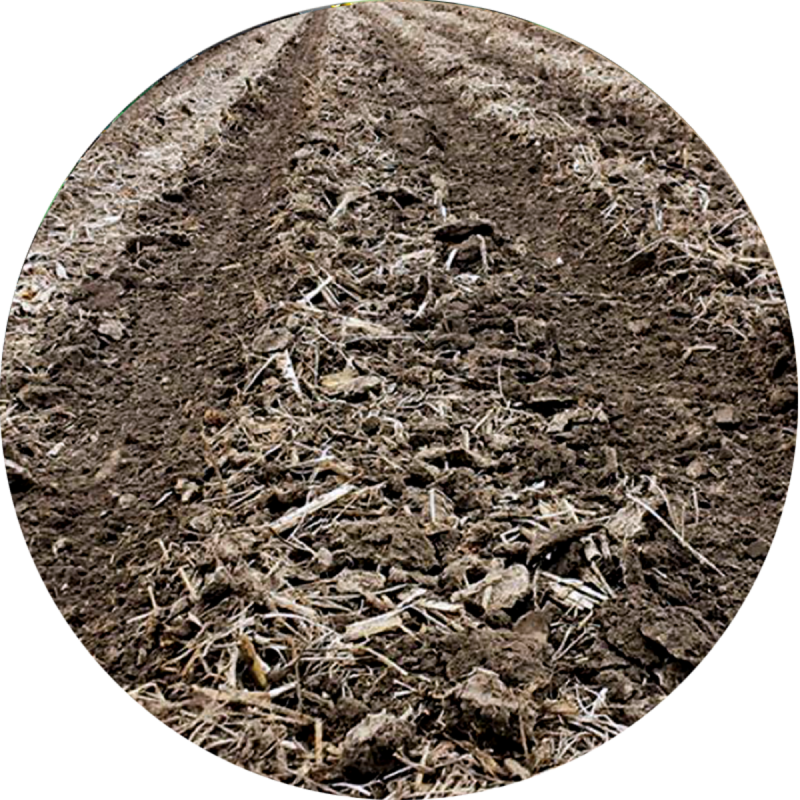 Sidewall compaction can be a challenge during planting. Factory rubber closing wheels are designed to firm up loose soil—they do nothing to fracture sidewall compaction. 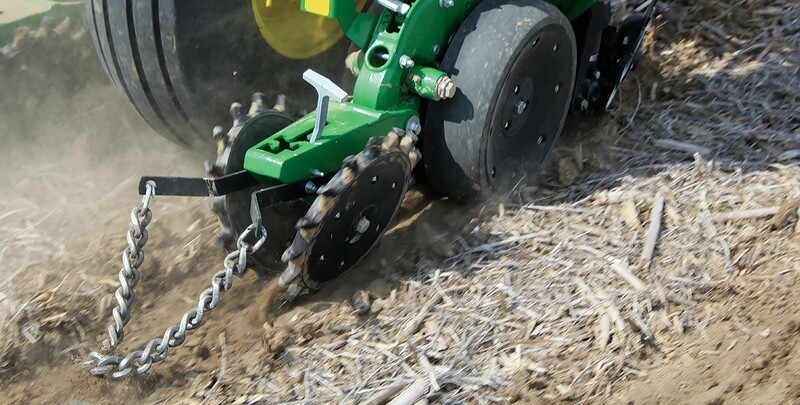 To close the seed trench and improve emergence, set your planter up with Twister Closing Wheels. We recommend using two closing wheels across from each other, set at 1 1/4" spacing. They work in unison to move soil around the seed, creating optimal seed-to-soil contact. Do I Need a Better Closing Wheel? 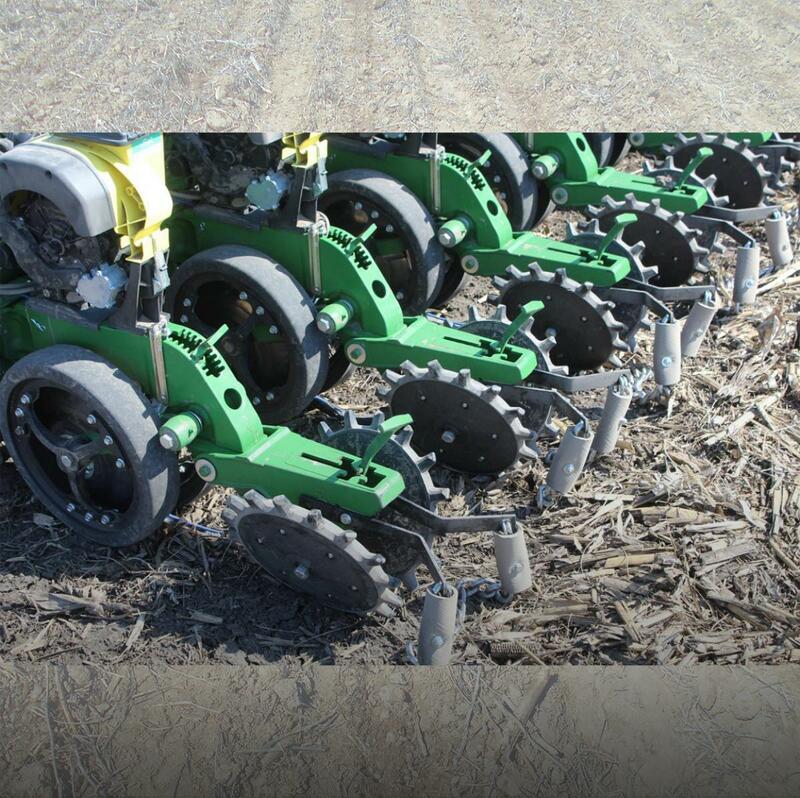 Inspect behind the planter when tillage practices and soil conditions change. 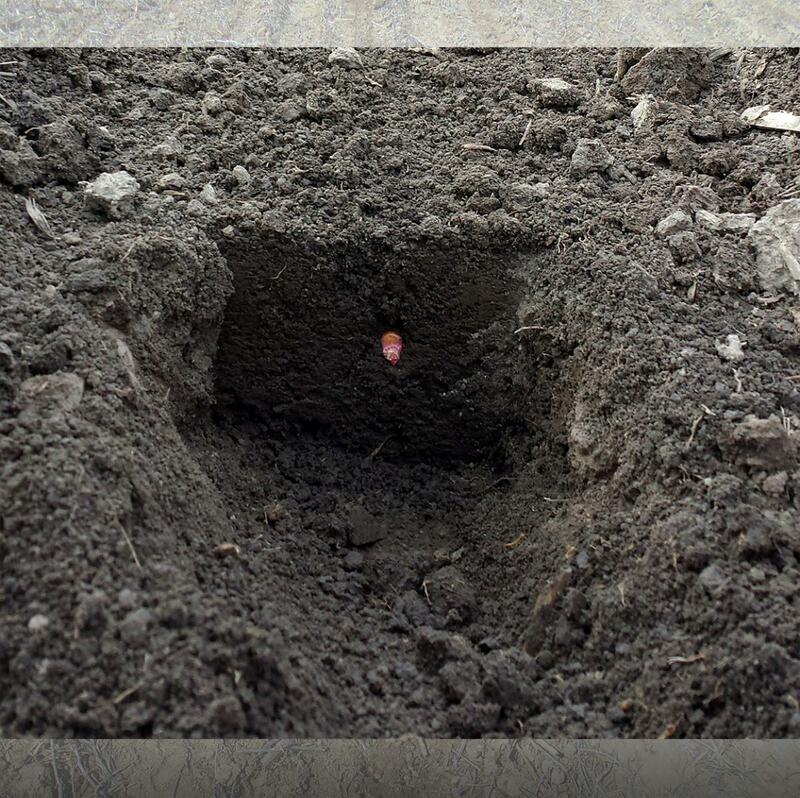 An open V shape in the seed trench means you do NOT have seed-to-soil contact—resulting in yield loss. Insert a 4" putty knife directly into a planted row, perpendicular to the direction of travel. Using another 1" putty knife or similar scraper, scrape the soil out of the seed zone to reveal an opening approximately 6" long and equal to the width and depth of the inserted 4" putty knife. Remove the 4" putty knife to reveal a cross-section of the planted row. 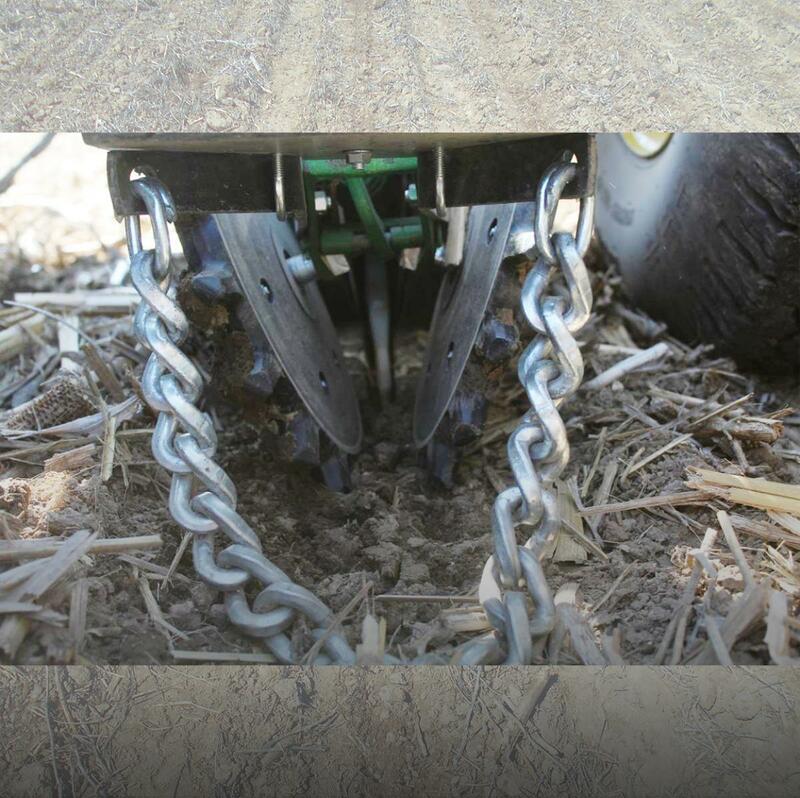 To understand what changes are needed to improve your closing wheel system, inspect the seed trench for excessive sidewall compaction, air pockets, and poor seed-to-soil contact. 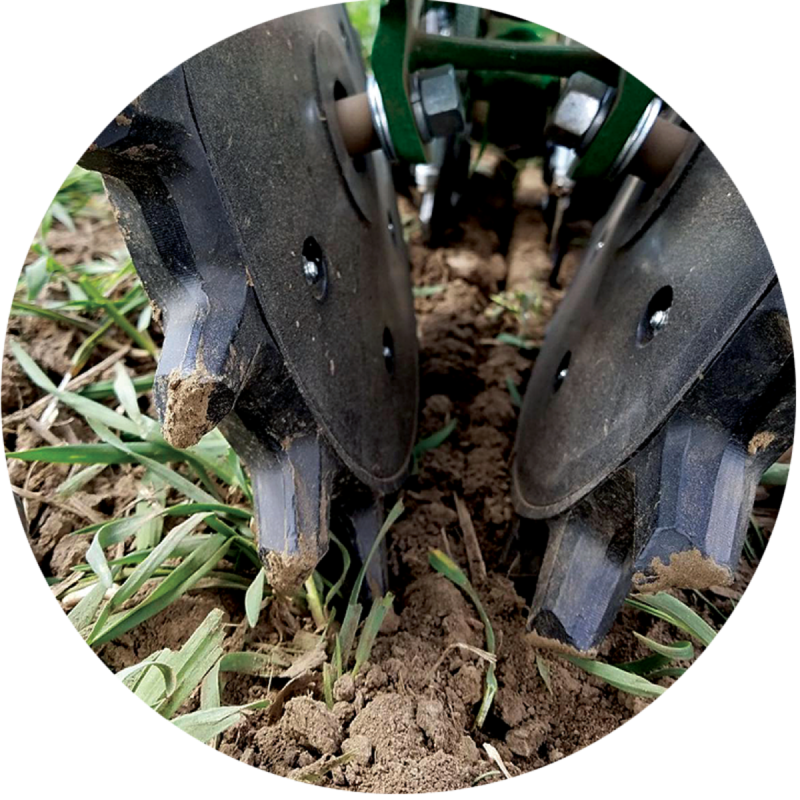 With the Twister Closing Wheel, the seed trench is closed, giving you assurance that the investment you made in seed, chemical, fertilizer, and equipment will produce the yields you have planned for. An open V in the seed trench, showing poor seed-to-soil contact. Soil crumbled around the seed, creating ideal growing conditions. 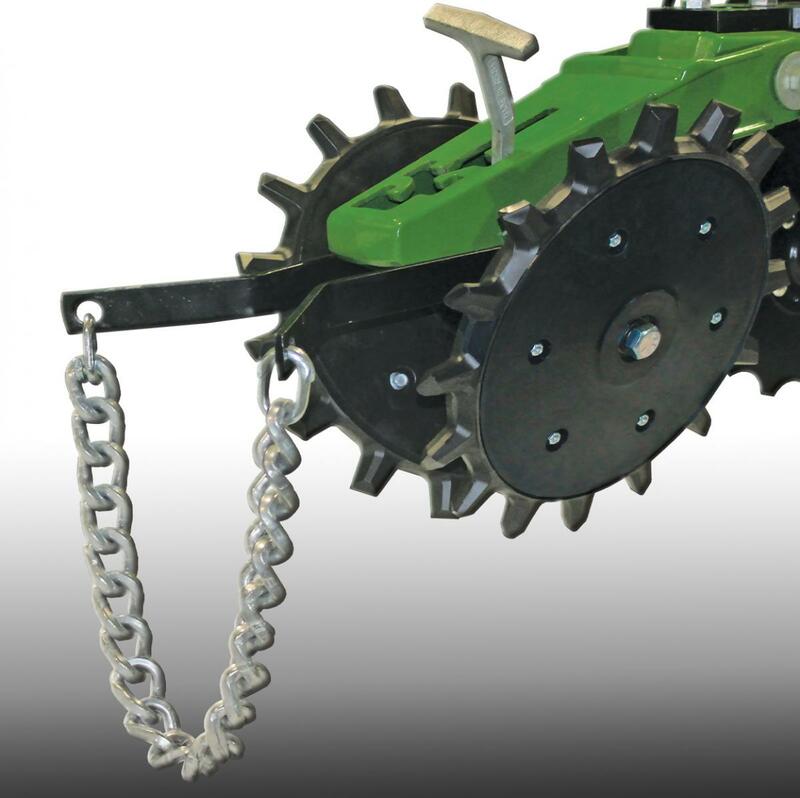 With help from the 6200 Drag Chain, the Twister Closing Wheel creates a consistently closed seed trench. A Twister row unit ready for action. The Twister Closing Wheel at work. 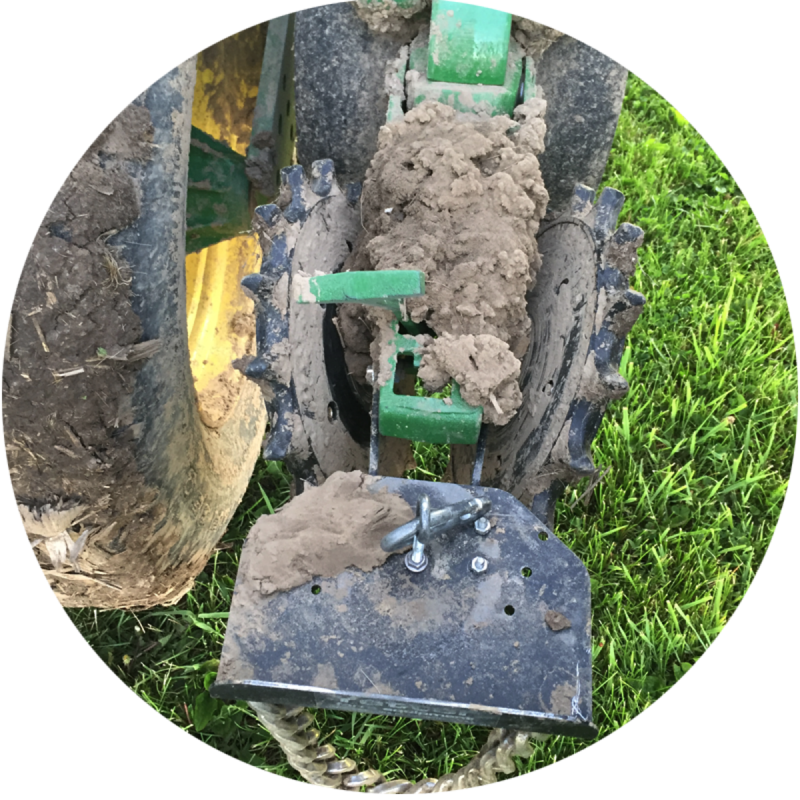 The Twister crumbles soil to break up sidewall compaction and eliminate air pockets. Twisted spikes enhance seed-to-soil contact and help create the ideal seed environment, leading to even emergence and higher yields. 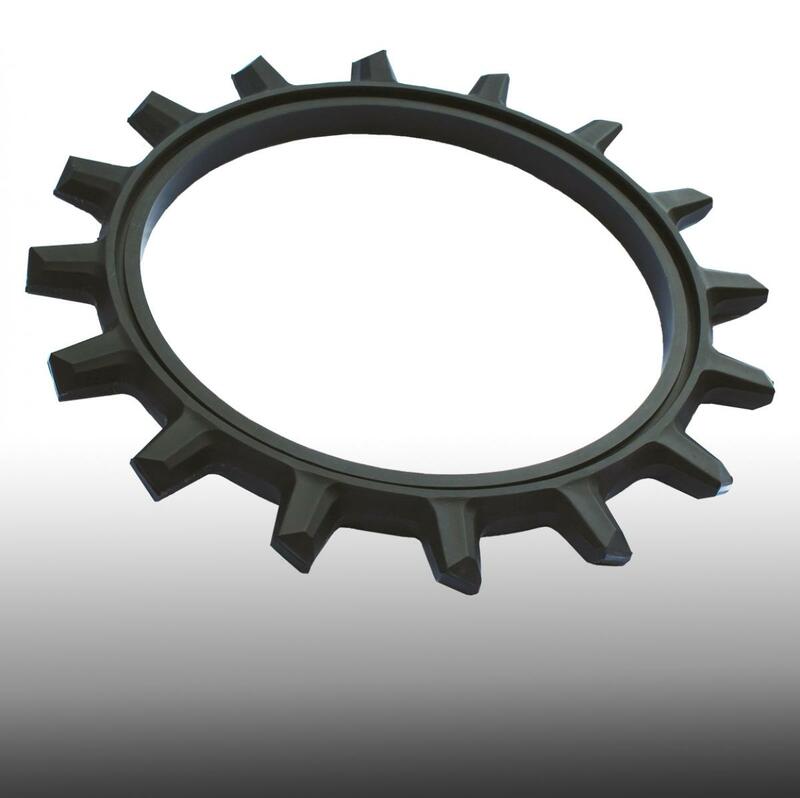 The rounded center ring—sized at 12" to match the size of rubber closing wheels—maintains consistent depth of the 1 1/8" spikes. 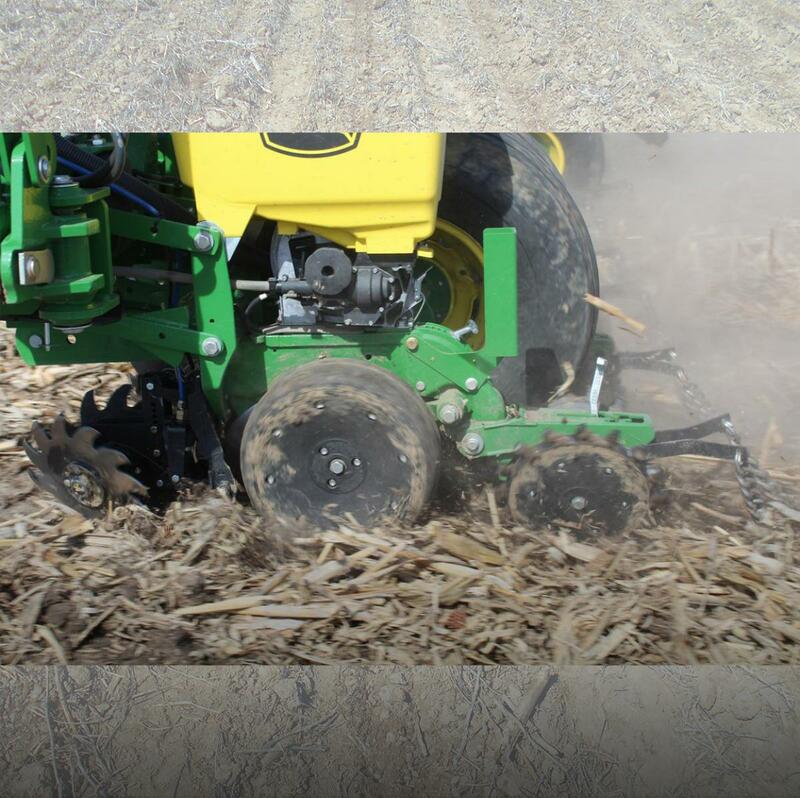 Optimize performance for minimum till, conventional, strip-till, vertical tillage, or no-till by adjusting down pressure on the tail wheel closing arm. In wet, unfavorable planting conditions, the Twister fractures the sidewall.  This reduces the potential for crusting and the seed trench drying out and cracking open. The Twister Closing Wheel is built for durability with ultra-high molecular weight (UHMW) plastic material. 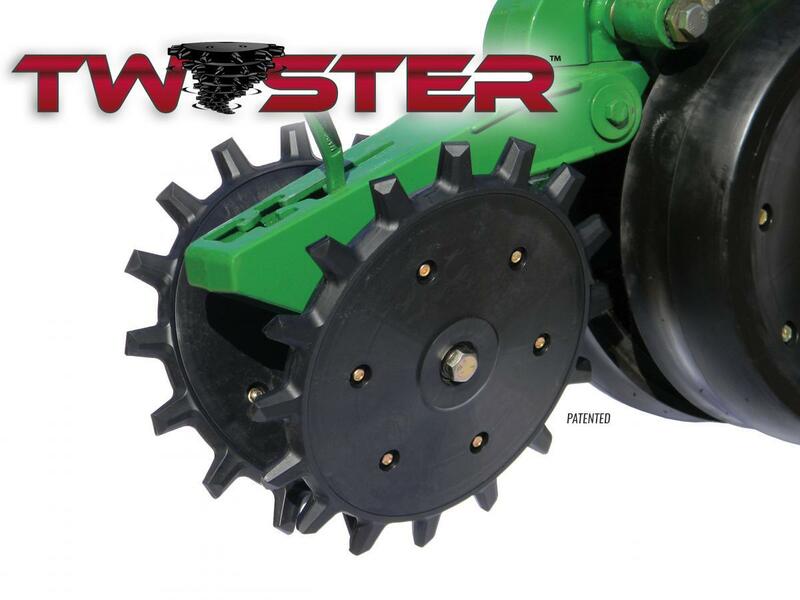 Also easy to install, the Twister is a cost-effective, high-performing replacement closing wheel that provides ROI. READY TO PUT A NEW SPIN ON CLOSING WHEEL PERFORMANCE?